It’s been a while since we did our previous “stat and traffic status” roundup, so thought to do another post on it. Towards the end of the last year when we did a traffic status update for Guest Crew, we were averaging about 30,000+ uniques a month with 76% of the traffic coming from Google Organic Search. More than 60%+ of it came from United States and 68% of it was coming from cell phones. This year, making GuestCrew mobile responsive was our primary target which we implemented towards the starting of the year. That update took some time to implement and our site was down or had errors during that period which did resulted in a drop of traffic. Once we got the responsiveness working, our traffic was back to normal and kept going up. At this moment we are averaging 40,000+ uniques a month. We are still tweaking the cell phone interface and fixing bugs – hopefully by the end of this month, we will be able to make it work further better on the cell phones. As far as the location of the traffic is concerned, not much has changed in that aspect. Only the numbers have further increased. United States is our biggest traffic hub and has accounted for a whooping 61%+ out of the total traffic. Here’s the break down. Another thing that I notice about the stat is that we have covered 200 countries this year – while last year we had only catered to 166 countries. 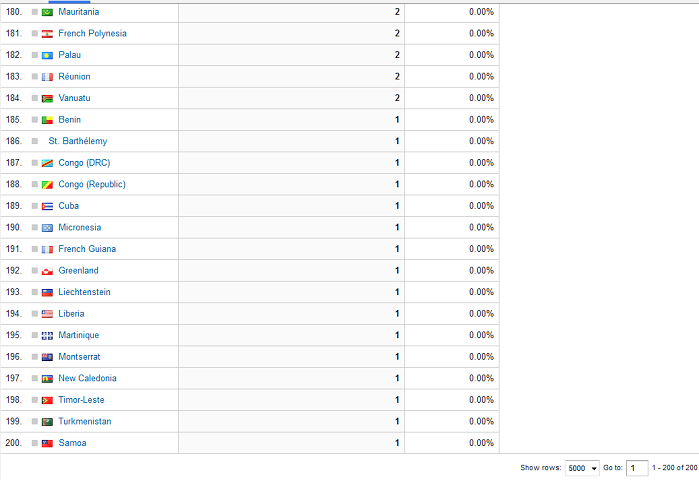 Good to know that we are covering 200+ countries now. In 2015, our organic search increased further and is now 80%+ of the entire site traffic. We haven’t hit anything major on Reddit or any other social site this year, which can be a reason why the organic traffic is taking over the social traffic’s share. But that is all right, because towards the end of the year we will do more campaigns and hit social media again. Am a big fan of organic traffic, I don’t really do SEO actively – rather I build authority links with quality content. Generally speaking, visibility is alone enough to get such links. If my content is visible on the social media it will attract backlinks and such backlinks are both strong and natural. This is the reason why – “Content Amplification” is so much in demand. We changed our pro advertiser package to include the content amplification features. As a result, our packages are a complete blogging solution now. Even the $19 Starter Package is enough to make a blog active on the social media and build quality and targeted backlinks. Generally people like to test waters with a small budget and that is the main reason why we kept the starter prices as low as possible. This is how it works: We promote your content and make it visible on the social media. 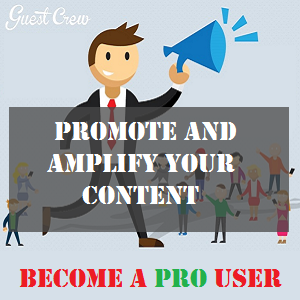 The GuestCrew network has over 11,000+ bloggers and journalists registered. Bloggers and Journalists keep looking for quality content to link, mention and quote. If your content is worth it, you will get the mentions and the links. People are already getting a lot of results from it and am thinking on doing some case studies soon. To promote your content further, we started a blogging community – AmplifyBlog. It has been only 2 months since we launched it and has already gained so much attention on the Internet. The roundup post on AmplifyBlog, where we asked 10 experts about their – “Best Content Amplification Methods“, did really well and it still gets so many shares everyday. One of our top priorities this year has been to open up the system and get things out of beta. We wanted more people to access and use our platform. For this, we have hired 3 staffs this year. Let us welcome them. 1) Theodore Nwangene – The Guest Crew community manager. Am sure you have seen Theodore in the blog section of Guest Crew, he is pretty active there. Catch him on Twitter and his blog. 2) Ashish Paul – Ashish is our Social Media manager and mainly focuses on Twitter. If you share an article on AmplifyBlog – he will be the first to tweet it out, followed by me by my personal twitter account and the AmplifyBlog Twitter handle. 3) Dan Ewah – Dan is the Community Manager of AmplifyBlog. Catch him on twitter and on his blog. Guest Crew is a very awesome community and I’m really delighted to be among the team. I’m sure that with all our efforts put together, we will take be business to the next level. Welcome Dan and Ashish, great to have you guys on board too. My brother from another mother, I never knew you are part of the guest crew team; it’s so nice to be on the team with you bro. I’m also thrilled to learn that we’re here together and I’m sure we will take it to the next level :). Congrats Guestcrew team, excellent work. Because you’ve a team, I’d recommend you to run a forum to help new bloggers. Who knows it may turn into a huge success. Thats something we will have to deliberate about. Nice stats, glad to see these statistics. I guess that a lot of work is behind this huge traffic! Sharing your stats is also a sign of openness and sincerity. This action alone will endear you to more clients than you can imagine. In the near future, I may be back as a client myself. Keep on the good work – and remember to make the day great. Good to know you found GuestCrew via. Theodore’s comment. Theodore is working really hard on GuestCrew and his comments are brilliant. 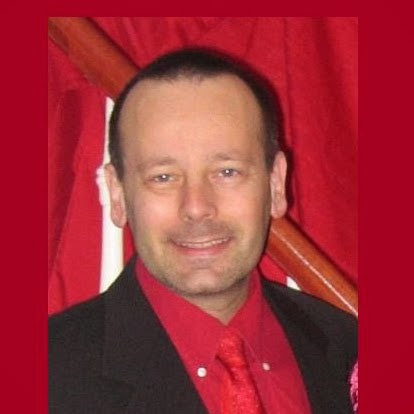 Now we have Dan as well to boost up the AmplifyBlog.com which is part of GuestCrew’s content amplification services. We’re very happy to have you here and I’m sure you’ll enjoy the community :). A big thanks for this detailed traffic roundup post. I particularly love roundup posts because it helps others to see that it can be done and also motivates newbie bloggers. I want to suggest that the strategies that were employed to drive the traffic should be added to the next roundup post so that bloggers can have a blueprint to drive traffic to their blog. I believe this will make the traffic roundup post more valuable. Yes – that is a very good idea. We can surely do that. There’s plenty of ideas that we employ to generate our traffic – however like posted above 80%+ of the traffic comes from Google organic search where we don’t really optimize keywords etc. rather just build natural content and promote it over the social media from where it gets discovered and linked via. sources naturally. It’s a great thing that you are so transparent with your stats. I know many bloggers who do the smoke and mirrors thing and fool advertizers into spending money on banner ads when they’re getting very little visibility. Keeping the transparency high is ethical and the right thing to do. Kudos! Yeah, I like to keep things transparent. Guest Crew is mostly social and social media is transparent anyway – as everything is trackable … but when it comes to website traffic, there aren’t too many ways to determine the exact traffic. 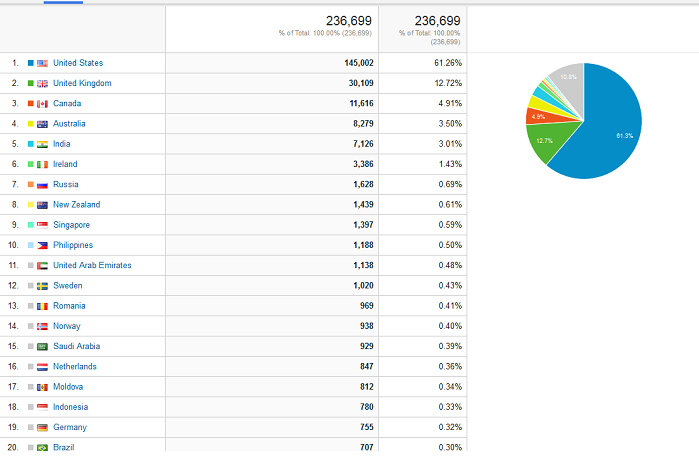 So, I like to share the Google Analytics screenshots and stats. 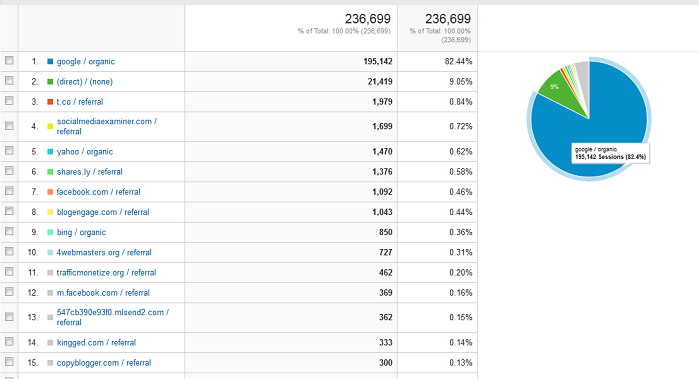 Great stats, I really appreciate your work towards your blog. Bloggers do not reveal such stuff, but you did and motivated many new bloggers. I wish you best of luck for your blog. Keep updating us with interesting articles as you always do. Thanks a lot for all that encouragement. Its really good to hear that you were motivated by the post. That’s what we’re here for and we promise to always give you the best :). A very nicely done post with all this stats.. It is encouraging and sure interesting for other bloggers. Wish the Guest Crew team all the best . Its really good to have you here and, thanks a lot for the encouragement. Hi Theordore and Crew…it looks like you are getting some fantastic stats with your product. I also like the transparency in showing where all of your traffic is coming from . Great job. And thanks for posting. Thanks a lot for the kind words and welcome to Guest Crew Community. Glad to hear that you like the post. 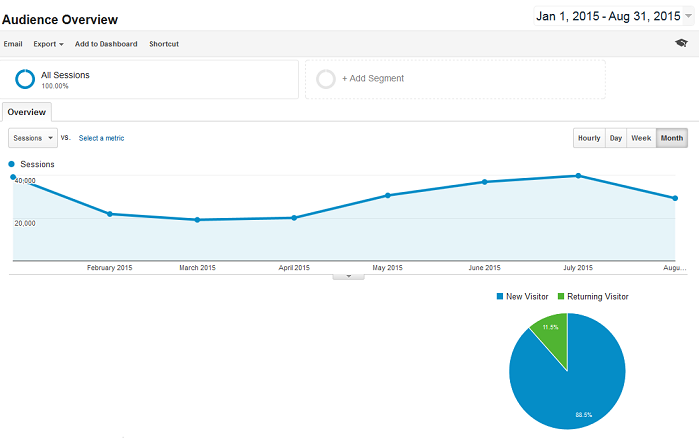 Very interesting stats showing the improvement in your site’s statistics – and the different ways of analysing your traffic. That package looks very interesting! We want to be as transparent as possible so that everything we’re doing will be visible to our awesome readers. Let me first of all say kudos to you and your team. Please keep up with the good works. The beauty about blogging is the fact that the world is at your disposal. We are being told told there are 254 countries in the world and having your blog seen in over 200 countries is a massive achievement. Everything is possible as far as working online is concern. There are so many opportunities on the internet, its all a matter of having the zeal to pursure them. Thanks for the compliments Kabie and please, do visit again. It is good to see that your blog is growing day by day. There are many new visitors. But we all know that returning visitors have more influence than new. Keep it up. You are helping many people with your posts. I’m glad you like the post and, thanks for the sweet words :). This is a nice post and am glad to see you’ve increased in stats. Who doesn’t like hearing and seeing things like this? I liked the transparency and its good to know you improved your blog for mobile responsiveness. Most people access the internet with their phones that’s why Google recommends a blog to be mobile friendly. This post has motivated me and I know it will do same especially for newbies. Am off to share this. I’m indeed happy to have you here. I agree with you on the importance of a mobile responsive website, it has now become more vital than before and anyone who is not implementing it yet is missing a lot. Thanks for the visit and please, do come again. BTW: You’re doing very well on your blog, keep it up. I landed here from the link of a comment that Mr. Theodore left on my blog and great t to see this amazing blog. Hoping to read more contents from this blog soon as the stats shown in this post is superb. Thanks Reji and welcome to the community. I’m happy to have you here, we will be looking forward to your regular visit :). Nice job with your traffic. It’s interesting to note that a majority of it comes via mobile. It’s nice to know that Dan is also part of your team in addition to Theodore. Both of those guys do excellent work. Keep up the great work Uttoran. We really appreciate the kind words. What amazing stats! I really admire your openness and honesty. I’m very happy to have you here Naomi, welcome to the community. Thanks a lot for the visit and for living such a lovely comment, hopping to seeing more of you here :). I want to congratulate on the traffic you are getting. I must say this is really impressive. I just hope these traffic are targeted and converts. Thank you so much for sharing this post, I appreciate! Congrats on the traffic improvement. I hope to see more such updates and I only wish you all the best for the future. I also wishes you more growth on your own blog. Thanks a bunch for stopping by and for commenting. Please visit more often :). I found your website after that I finished reading a post in “make a living writing”. Theses stats are incredible! I see that you get a lot of search engine traffic but not a lot from social medias. I am sure if you find a way to leverage a social media (or some of them) the number of visits may double at least 3 times. Welcome to Guest Crew community and thanks a lot for stopping by and living a wonderful comment. I will take your advice to the heart and we will surely work on our social media optimization. This is the first visit to “guest crew” and I see that the numbers don’t lie. Thank you for showing all your stats and being transparent showing others this is working well. I’m very pleased to have you here. Welcome to Guest Crew community. Thanks a lot for the kind words and please, do visit us again and again :). Very inspirational post and traffic stats are really wonderful and shows the mindset of a winner. The variety of visitors with regards to regions is just amazing and its access to 200 countries is really a big achievement. 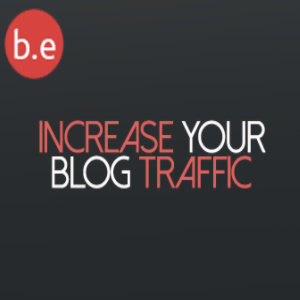 Most of the traffic coming from search engines does show your content strategy equally focus to please both people and search engines; that is why you do have a very vibrant blog community. Thanks a lot for sharing this very motivational post and wonderful offer to expand outreach. Thanks for the kind words. I’m very delighted to have you here. You’re really doing an awesome job on your blog, please keep it up. nice article and helpful info. Can just suggest how to increase traffic on site??? Prince Varun recently posted…NASA confirms the existence of water on Mars. Wow great work.last year the average of this website was 30,000+unique a month but now is 40,000+unique a month. this is very great change.i think which traffic comes from searchengne they are best of all. i also want more and more traffic for my site please tell me best and easy trick. Thanks for the kind words.. If you want to get more traffic to your blog then its simple…… Find out what your readers what and how they want it then, give it to them, thats just it. Wow great job. Excellent work . Congrats! 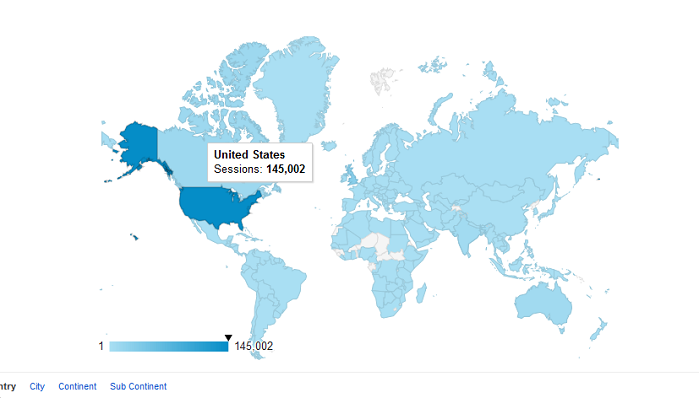 I am amazed to see that only 3% traffic comes from INDIA and about 62% traffic comes from America. I’m very grateful for that. Thanks for coming :).